On Tuesday, May 28, 2013, the Canada’s broadcast regulator, the CRTC, made an historic blunder in granting permission to the CBC to accept advertising on its twin music radio networks, Radio 2 and Éspace Musique. Since its creation amidst the misery of the Great Depression, the CBC has been burdened in its role of public service broadcaster by having to earn its keep partly through commercial sponsorship of its programs. That may seem merely normal to those who’ve grown up in North America’s overwhelmingly commercial media environment. But in the rest of the world, public broadcasters have been, for the most part, advertising-free, supported by government subsidies in one form or another. The BBC, for instance, as the doyen in the field, is financed through a compulsory tax on radio and television appliances. The most obvious reason for the aversion to advertising as a means of support for public broadcasters is that dependence on revenue from commercials obliges any broadcaster to attend to the demands of sponsors, when it ought to be solely concerned with the needs of its audience. In other words, it interferes with and distorts the broadcaster’s focus on public service. When radio in America was in its heyday it was possible to claim, with justification, that the commercial networks provided a valuable pubic service. They spent large sums hiring top talent for well-written and produced programming across a wide spectrum of tastes. They invested heavily in news and public affairs coverage. It was an unabashedly populist medium, and it served that popular audience well. In those days, radio was largely in the hands of independent entrepreneurs, many of whom took personal pride in the quality of their programming and in giving back to the public. As owners of the enterprise, they were in a position to sacrifice profit for altruistic ends. With the advent of the corporate media colossus of the late twentieth century, that ethos became extinct for all practical purposes, replaced by a stern, rationalizing focus on maximizing shareholder return on investment. So while it is true that, in theory, advertising and public service principles can co-exist in broadcasting, it has proved to be untrue in the real world of corporate concentration and market rationalization. A reliance on advertising revenue inevitably and inexorably draws the broadcaster into the ratings game, in which programs are judged, not in terms of any objective criteria of quality, or of service to the public, but on their effectiveness in assembling the audience demanded by advertisers, at the lowest possible cost. But there are other problems with advertising on public broadcasters that are less obvious, though no less significant, and which deserve attention. A modern public broadcast service like the BBC or CBC or Deutsche Welle or ABC in Australia is what economists call a “public good.” It’s like a bridge, or a park, or street lights, in that it serves a public need that the normal commercial market does not or will not supply. The reason for this “market failure,” as it’s termed, is typically that a public good is made available to everyone, without restriction, and therefore doesn’t provide the kind of return on investment that private business demands. In order for the good to exist, and to be maintained, it’s necessary for some level of coercion to be used in its support—typically, some form of taxation— so that everyone pays a fair share. Other classic examples of public goods are dams, courts, military and police services and public schools. When radio broadcasting was invented in the 1920’s (by the Canadian Reginald Fessenden), its enormous potential was not immediately understood. Early entrepreneurs sensed that there must be economic value in the very fact that it could assemble a large audience over a wide geographic territory, but it was not immediately obvious how to monetize those numbers. The more progressive among them were also interested in the medium’s promise as tool for social welfare, a way of delivering the best in information, entertainment, and enlightenment to vast audiences at very low cost to the individual listener, and with relatively low production costs. The problem was that radio signals were freely available to anyone who bought or built a radio receiver, and lived within range of the transmitter. With the technology of the day there was no way for broadcasters to restrict supply so as to create scarcity value for their signals. Early radio experimenters were in a quandary as to how to finance their broadcast services. For the early broadcast entrepreneurs the problem was how to profit from the fact that their transmissions were heard by a very large and rapidly expanding audience of radio enthusiasts. For governments, the issue was how best to mobilize this new technology in the interests of the nation and its citizens. In most European nations, the preferred solution was to make radio a state monopoly, and finance it through some form of government subsidy. The belief was that placing the medium in the hands of commercial interests would hinder its development a constructive social force. In the United States, public ownership was one option among several considered; others included establishment of a national endowment financed by radio equipment manufacturers, state subsidies for programming, and commercial sponsorship of the kind people were already familiar with in newspapers and magazines. In the end, commercials won out, simply because it became clear that there were enormous fortunes to be made under this business model. Private, commercial broadcasting interests argued successfully before Congress that the public interest in quality and diversity could be served by advertising-supported radio—just as it was in the familiar publications available everywhere on newsstands. But the analogy was fatally flawed. What was not understood at the time was that the two media, print and broadcast, differed in three significant respects. First, while a newspaper is a randomly accessible medium in which the user can select content at will, for example by reading news and ignoring ads, broadcast radio is a linear medium in which content must be consumed in the order presented. That is, one had to listen through the ads in order to hear the non-advertising content. It was this linear aspect of broadcasting, in fact, that made it so attractive to advertisers. Their messages were effectively integrated into the stream of programming in a way that made them difficult if not impossible to ignore. The implication, clear only in retrospect, is that programming must provide a congenial environment for advertising: conversely, programming that does not provide a hospitable surround is unlikely to be produced. A second distinction lies in the different relationships print and broadcasting have to the formal laws of supply and demand. Because newspapers are physical objects produced in finite numbers, it is possible for publishers to adjust supply in order to match, but not exceed, demand. And it’s easy to demonstrate that a newspaper has value just by pointing to the price people are willing to pay for it. But because over-the-air broadcast signals are never “used up” or “exhausted” or bought up” no matter how many people tune in to listen or watch, their cash value can’t be set in this way—supply is effectively infinite. Where supply of any commodity is unlimited, markets are unable to establish its worth. That makes it more difficult to justify the cost of maintaining a service such as public broadcasting. Its worth can only be determined through non-economic means involving value judgments, and these are likely to be controversial. The third distinction between the two forms of media is that newspapers typically don’t rely exclusively on advertising—most collect an important share of revenue through street sales and subscriptions. This fact has significantly diluted the impact of advertising and advertisers on newspaper content. It is financially feasible, for example, for most newspapers occasionally to risk damaging an advertiser’s interests in favour of serving the public interest. While Britain and European broadcasters moved ahead to develop commercial-free public broadcasting, and the Americans dove into the commercial market, Canada cobbled together a hybrid combination of the two approaches. The government of R.B. Bennett was convinced by a powerful public broadcast lobby that radio should be a state monopoly, as it was in Britain with the BBC. But the economic conditions of the time, along with the always intrusive influence of the American experience, led to the CBC’s forerunner being established as combination broadcaster-regulator. Public broadcasting services were to be funded by compulsory licensing fees on radios, while existing private, commercial operators were allowed to continue operations in the American mold. Ottawa also generously provided private, commercial broadcasters with free access to programming produced for broadcast on the government-owned public service networks, both as a form of subsidy, and a convenient means of extending the reach of public service content into remote areas of the nation. Throughout its early existence, CBC radio carried many American radio programs, complete with their commercial messages. Our Miss Brooks, Edgar Bergen and Charlie McCarthy, The Aldrich Family and many others were broadcast from coast to coast on the public broadcasting system. Canadian-produced programming was also frequently sponsored both on the national network and in local markets. When television was introduced by the CBC in 1952 it, too, was developed in the commercial sponsorship model. 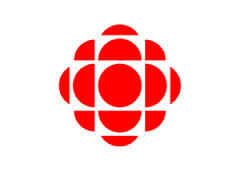 In 1975 under the presidency of Albert Johnson, and with Pierre Juneau at the helm of the CRTC, CBC radio was set free from commercial sponsorship and permitted to become a true public broadcaster. That is, it no longer had to be beholden to advertisers, and could henceforth focus exclusively on serving the public interest with excellent programming of, by, and for Canadians. What followed was a well-documented renaissance in programming which quickly placed CBC radio in the top ranks of worldwide public broadcasting services. But as history shows, it is precisely the presence of advertising as a significant source of revenue that, over time, degrades program quality by grasping for ratings in the search of the lowest common denominator—the cheapest way to assemble the largest audience comprised of the most desirable demographics. The re-introduction of advertising to CBC radio is the apotheosis of private-sector policies pursued at the Corporation by a pair of either deeply cynical or (more charitably) terribly misguided federal government appointments to the CBC presidency in Perrin Beatty (1995-1999) and Robert Rabinovitch (1999-2007). Rabinovitch, in particular, must bear the burden of Richard Stursberg’s disastrous, ratings-chasing career as vice-president of English language programming. Advertising on Radio 2 is one more step along the path to the effective privatization of the public broadcaster, making of it a business like any other—except that it is owned by government and always loses money. Any taxpayer who would support that in the long run deserves to be called an idiot. Increasing advertising content on CBC services can have no other effect than to make the corporation less distinctive, less relevant, and therefore less worthy of public support. It is the pathway to destruction for Canada’s principal cultural asset, the primary engine of an industry of greater consequence to the nation than oil or automobiles. It is, indeed, a “crazy” decision, as the CRTC’s deputy commissioner Tom Pentefountas characterized it in his courageously outspoken dissent from the commission’s majority opinion.